Australian-based Hot Chili (ASX: HCH) has started down the path to becoming a global copper contender, establishing a “super hub” of projects near Chile’s coast. The company has spiced up its majority-owned Productora deposit - which has a resource base of about 1.5 million tonnes of copper and 1 million ounces of gold - with two recent additions that look set to deliver critical mass for a globally-significant copper development. The first is the major Cortadera discovery, 14km away, where drilling results have drawn comparisons with SolGold's Cascabel project in Ecuador, and the Purisima mining right, which together cover the 2km-long Cortadera discovery zone. The consolidation positions Hot Chili to enter the development pipeline amid a forecast growing demand for the red metal, a looming supply crunch and moves by majors to gain exposure to copper deposits, such as Zijin Mining's US$1.4 billion bid for Nevsun Resources and its Bisha mine in Eritrea and Timok project in Serbia. Project consolidation activity has also been picking up. 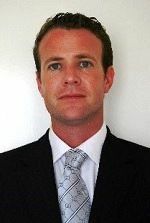 Hot Chili managing director Christian Easterday pointed to the recent move by Chilean neighbours Teck Resources and Goldcorp to combine their respective Relincho and El Morro copper projects into the NuevaUnión joint venture - and in the gold space, this month's deal between Newmont Mining and Barrick Gold over their operations in Nevada. "Our new consolidated development has the potential to place us within the production scale range of the top 30 largest operating copper mines globally," Easterday explained. "Along with the recent consolidation of other high-grade satellite copper mines in the area, we've now assembled agreements to consolidate a truly world-class regional copper camp. 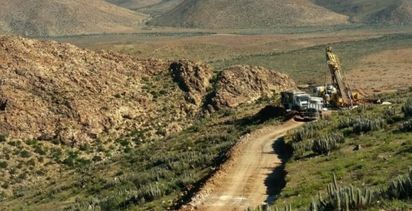 "Cortadera looks likely to provide the immediate critical mass required to develop a new, large-scale, long-life, coastal copper mining centre which leverages off existing infrastructure advantages already secured with Hot Chili's joint venture partner at Productora, Chilean mining major Compania Minera Pacifica. "It will unlock the $90 million invested in Productora to date." The company leveraged its local knowledge and expertise from about 10 years of operating in Chile to strike the recent pivotal deals set to transform the company into a premier ASX-listed copper developer. Hot Chili was the first company to publicly release details of the Cortadera discovery last month. Drill results include 864m at 0.4% copper and 0.1g/t gold from 62m, and 90m grading 1% copper and 0.4g/t gold from 4m. "Cortadera's results are considered one of the most significant set of copper-gold porphyry discovery drilling intersections since the discovery of SolGold's Cascabel deposit," Easterday said. About 2km of strike has been drilled to date, with some $15 million already spent on drilling and exploration, indicating the potential for a large-scale deposit suitable for openpit mining and giving Hot Chili a solid foundation to establish a maiden Cortadera resource. The Purisima mining right covers 500m of this 2km strike. Purisima itself has yielded results including 214m at 0.5% copper and 0.1g/t gold from surface, which Hot Chili was first to publicly unveil in February. Easterday said the additions of high-grade supergene copper mineralisation recognised at Cortadera had the potential to be a large, front-end cash generator. 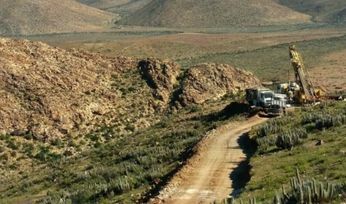 The company's initial base, Productora, has a prefeasibility study outlining a 10-year mine producing 66,000 tonnes of copper and 25,000 ounces of gold annually in the first eight years. The 2016 study had put the preproduction capex at $725 million and C1 cash cost at $1.47/lb paid metal, with Hot Chili saying at the time it was highly leveraged to the copper price, resource growth and operating cost improvements. Further "sweeteners" for the super hub include Hot Chili's high-grade satellite prospects, immediately east of Cortadera and within 20km of Productora. The company has agreements to secure a majority interest in three of the region's highest-grade mines, San Antonio, Valentina and Lulu, which it collectively refers to as the El Fuego project. Drilling last year at San Antonio returned results including 19m at 2% copper from 61m, including 11m at 2.4% copper. As part of the four-year deal struck in 2018, the owner is continuing limited lease mining activities which Easterday said gave Hot Chili unrivalled access to and understanding of the deposit that it believes has "standout" potential. The deal demonstrates Hot Chili's approach to its social licence to operate in the copper-rich country. The Cortadera and Purisima agreements also reflect the company's considered approach to building the Hot Chili copper hub. The option to acquire 100% of Cortadera from well-regarded Chilean mining group SCM Carola was the result of 18 months of high-level discussions. The Cortadera deal will cost $30 million over 30 months, while the Purisima mining right will involve $1.5 million in payments over three years. Hot Chili is now in the process of teeing up finance to cement its position. Easterday said the company was involved in "project level, strategic funding discussions" with key stakeholders. Meanwhile, the company has raised A$1 million at 1c per share in a private placement and has a $2.2 million rights issue underway. The placement was backed by existing major shareholders, Sprott-affiliated Exploration Capital Partners, Taurus Funds Management and Blue Spec Drilling, an associate of Hot Chili chairman Murray Black. "These funds will provide working capital to crystallise the biggest opportunity our company has ever identified," Easterday said. Hot Chili is also attracting keen interest on the ASX, with its share price tripling in February in the wake of the consolidation announcements, prompting a query from the market regulator. Looking ahead, Easterday said Hot Chili had a clear road map to becoming a global copper contender. Drill rigs would be mobilised to Cortadera in the coming months and to the satellite prospects, to establish mine life extension and high-grade feed. Easterday expects to begin a revised, enlarged PFS in early 2020 on the combined development, using central processing and infrastructure. And having established a "super hub", Hot Chili may yet increase its holdings further. Easterday said the company was assessing more high-grade consolidation opportunities within trucking distance of Productora. 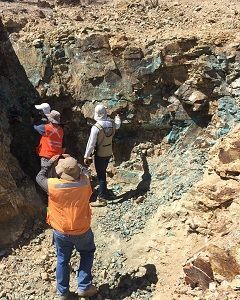 "We are aiming to create a globally significant, emerging copper hub for the Vallenar region of Chile, at a time of resurgent copper price conditions," he concluded.